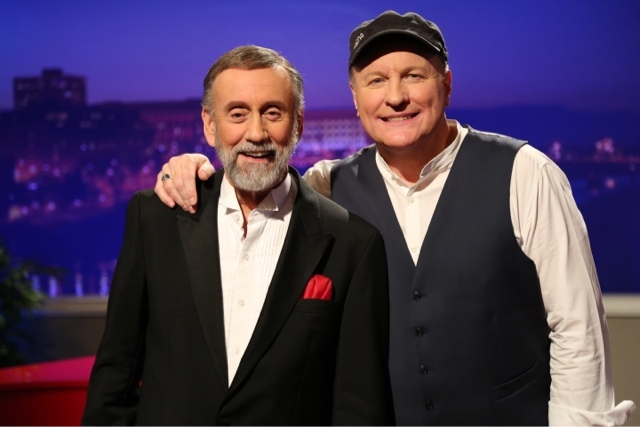 Mr. Nashville: COLLIN RAYE TO APPEAR ON "RAY STEVENS' NASHVILLE"
NASHVILLE, Tenn. (September 30, 2016) – Country superstar Collin Raye will perform his timeless No. 1 hits “My Kind Of Girl” and “Love, Me” on “Ray Stevens’ Nashville” this Saturday night, October 1, at 8:30/7:30c on RFD-TV. Visitwww.rfdtv.com to find RFD-TV in your area. Fans are anxiously awaiting Raye’s soon-to-be released “Silver Anniversary Album” to commemorate his quarter-century in country music, featuring new recordings of his greatest hits. Raye’s most recent projects include a tribute to Glenn Campbell,Still On The Line, an inspirational album, His Love Remains, and his first autobiography A Voice Undefeated. To purchase, please visitwww.collinraye.com. Sept. 30 Grand Ole Opry – Nashville, Tenn.
Oct. 21 North Park Assembly Center –30 Denham Springs , La. Nov. 12 Plaza Theatre – Glasgow, Ky.
Nov. 17 Hard Rock Hotel & Casino Tulsa – Tulsa, Okla.
Nov. 18 Benton Civic Center – Benton, Ill.
Dec. 09 California Center for the Arts – San Diego, Calif.